"This book was amazing! I was captivated by the character, Billy. His struggle grabbed me from the very start. Great read! I couldn't put it down!" Martha Martin, Administrative Assistant, Pillar College. Billy McQueen works hard to keep his life together ... and concealed. At seventeen, he dreams of an escape from the barroom, his father’s manipulation, and the advances of his father’s girlfriend. However, on his eighteenth birthday, he is introduced to a younger brother he never knew he had. An eight-year-old, barely capable of navigating the distorted and corrupt world of his father’s boxing club. Billy realizes in order to protect his little brother, he can never leave. After discovering a battered young woman in the back shed of the club, Billy uncovers the true nature of his father's activities. Before he can share it with his mentor, the principal at Kingston High, and the sheriff, Billy is kidnapped by his father and sold to a wealthy old maid who imprisons him on her yacht in the Gulf of Mexico. His death is fabricated and his little brother used as leverage for his compliance. In order to secure his freedom, Billy must fight for it. To save his little brother who is next in line for the slave trade... he must die for it. 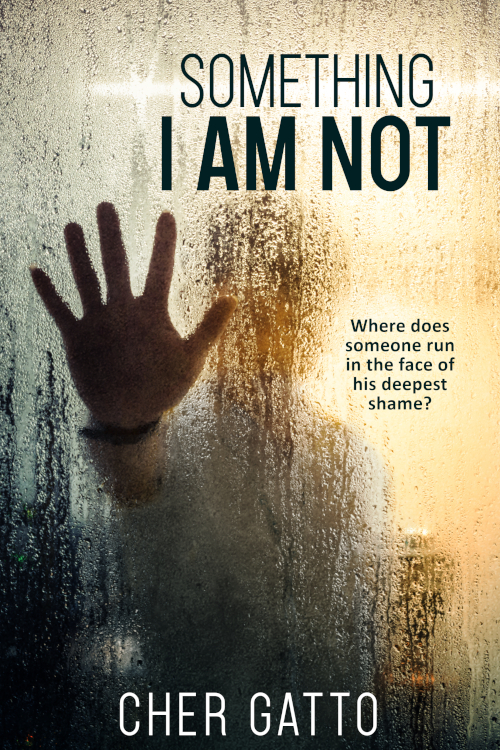 "Something I Am Not" is currently contracted with Lighthouse Publishers of the Carolinas (LBC Books). Its release date is in conjunction with Human Trafficking Awareness Month.